Marketing your business is beneficial and can help you make the earnings to keep your customers happy. With a significant amount of marketing techniques available, the majority of companies fail to advertise to their local clientele. Today, it’s essential to be able to reach your local audience and keep up with your business competitors. You now can reach all addresses in a targeted ZIP code(s). Also known as Every Door Direct Mail®, allows you to send personalized postcards to customers in your local area. Printing EDDM® postcards can stir up a following and enable more people to learn valuable information about your business and all that you happen to offer: product information, services, promotions, discounts, and giveaways. 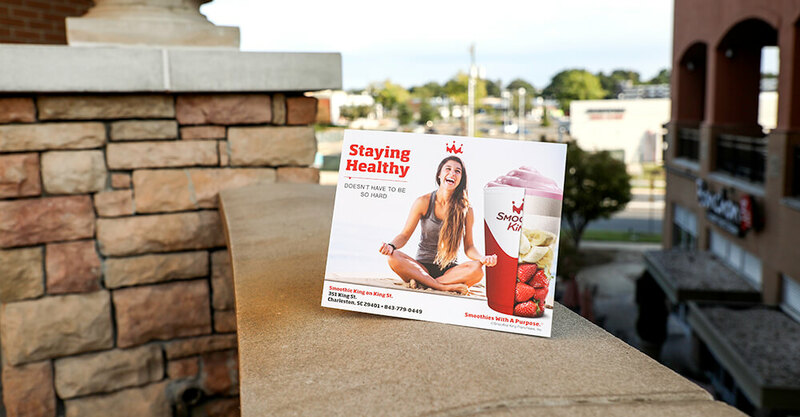 In general, marketing with these oversized postcards can be one of the best ways for you to grow your business. When it comes to creating your postcards, it’s essential that a professional online printing company prints it. Designing the postcard should take some time; be patient so that you don’t create something that gives off the appearance of being unprofessional or disorganized. When creating your over-sized postcard, it’s essential to have your business name in a legible and somewhat larger font, so it stands out from the rest of the copy. If your company has a difficult time creating them, some options can help you to create one by using a clean, professional and straightforward free designEDDM® template. 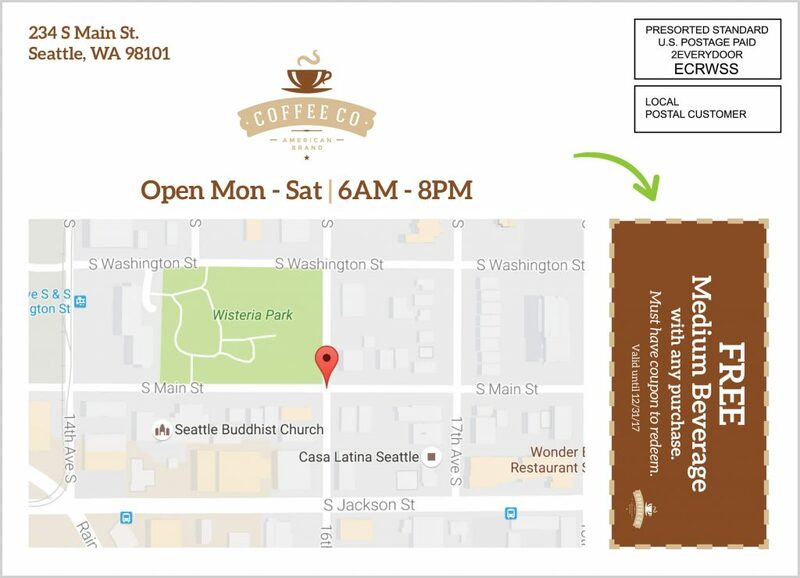 Try to complement the basics of your business with the postcard’s overall design. If you need assistance, at Primoprint, we offer graphic design services to ensure your postcard will attract potential clients. For instance, if you own a wedding catering business, you don’t want the postcard to incorporate neon coloring as it may look unprofessional. On the other hand, if you own a daycare, the neon lettering and bright colors may work fine with your business message. Make sure you incorporate the feel of your company and include the business logo colors into the postcard design, as it can add familiarity to your brand. Creating a postcard should be done uniquely to your own company. Contact your printing professionals if you need further help in creating the ideal postcard for your business. These oversized postcards are a fantastic tool for small and local businesses, allowing them to reach potential customers. We now offer Full-Service EDDM®. View our helpful video tutorial that walks you through our new process.